Spin Sports offers a diverse array of betting options for its bettors in India, and is looking to build on the solid reputation built by its online casino. Having launched in July, Spin Sports has instantly become a competitor in the online sports betting industry thanks to its abundance of wagering options, a sleek and modern look, and 24/7 customer service. Spin Sports started with an online casino in 2001, and quickly became a go-to spot for bettors of all types of experience. The online shop brings the same level of professionalism and entertainment as it it enters the sports betting industry. Spin Sports is powered by SB Tech software, an award-winning stalwart in the sports betting market. There are more than 70 sports to choose from, which is an excellent start for such a new sportsbook. You will have access to the major cricket events, both domestically and around the world, along with the FIFA World Cup, major events in North American Football (the NFL and the Canadian Football League), and much, much more. Not to mention, there are alluring bonuses when you are first depositing with Spin Sports, and daily Spin Specials that you are encouraged to check out. On top of all this, Spin Sports offers 24/7 customer support if you have any questions. Send an email or enter the live chat, and get your queries answered in a flash. Spin Sports truly leaves no stone unturned. Signing up for an account at Spin Sports is quick and easy. First, you are asked to select a username and password for your account, along with your email address and the country in which you reside. Next, you enter your first and last names, along with your date of birth and gender. You can pick from a list of languages, whichever suits you. You will also select your desired currency, which includes American and Canadian Dollars, along with Euros, Argentina, Chilean and Mexican Pesos, and the Belarusian Ruble. No Indian Rupees, yet, which is a drawback. Spin Sports offers a full selection of sports betting options, and there is no shortage of types of bets that you can make. What you should first notice when you go to the live-odds section of Spin Sports is the sheer amount of sports you can bet on. There is a long list of betting options on the left-hand side of the page. Here, you will see a vast list of options, with everything from cricket and soccer, to eSports and mixed martial arts. Snooker and darts, cycling, Aussie Rules, Gaelic football… you name it, it is all here. There are single-game bets, futures, props, parlays, teasers and many other types of bets for you to make. You also have the option of betting in Fractional, Decimal or American odds, whichever you prefer. There is also the inPLAY section, which is Spin Sports’ version of live betting. Here, you can bet on a game as it is happening, which can come in handy. Your initial pick to win a game might not be working out, but you can hedge your bets by live-betting on the team that is winning right now. You can also bet on totals and other props throughout the game. Thanks to their partnership with SB Tech, the inPLAY function runs very smoothly and ensures that you are never lacking for options to bet on. There are also the Spin Specials, which you can find on the left-hand side of the “Live Odds” page, where you can see all of the daily specials that Spin Sports has on tap. The mobile aspect of Spin Sports might be the best element of all. When it comes to working on your mobile phone, a lot of sportsbooks will sacrifice something, whether it is betting options, site speed, how it looks, or some combination of all three. Spin Sports has managed to make their mobile site play like the desktop, so you do not lose anything. That makes it much easier to navigate if you are rushing to get a pick in. If you are used to the desktop version, the mobile version is as easy as 1-2-3. When you sign up to Spin Sports and make your first deposit, they will match your bet up to $200 Canadian dollars, which works out to about 10,000 rupees. To qualify, you must make a deposit within seven days of registering your account. You can’t make a withdrawal until you fulfill the turnover requirements, which is five times your first deposit. This is comparable with most sportsbooks in the industry. Make sure you read all the terms and conditions, which is prominently displayed on the “Sign On Free Bet” page. Also, you will be notified of all the promotions that Spin Sports has to offer via email. Make sure you keep an eye out for those. You can make deposits and withdrawals at Spin Sports with Visa and MasterCard credit cards. You can also use the Visa Electron debit card. 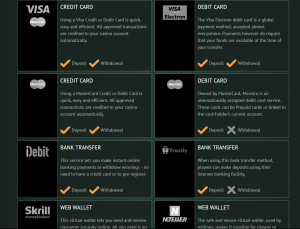 Skrill and Neteller web wallets also work for both options, while you can make only deposits via iDebit and Trustly bank transfers. Spin Sports also ensures that your financial transactions are done safely. They use advanced P128-bit Secure Socket Layer digital encryption. You might be asked for a copy of your driver’s license, a utility bill, and the front and back of your credit card in some withdrawal cases. To contact the friendly folks at Spin Sports, you can email them at support@spinpalacesports.com, or you can reach them via their live-chat feature. They also have this feature in 28 different language settings. Is it safe to play at Spin Sports? Spin Sports has its players’ safety at the forefront with advanced P128-bit Secure Socket Layer digital encryption. What types of bets can you make at Spin Sports? You can make all types of bets at Spin Sports, from the most basic outright bets, to futures and teasers. There is plenty to choose from, especially when you consider how many sports are offered. Is there a responsible gaming policy at Spin Sports? Spin Sports takes its players’ safety to heart. There is a responsible gaming policy set up, restricting players to over 18 years of age, or the legal age wherever you are playing. If you decide to lock your account, Spin Sports will not send you promotional emails. You can also adjust your maximum deposit limits. There is also a self-assessment test on their website if you are getting concerned. Can you make deposits and withdrawals in rupees? You can’t make deposits and withdrawals in rupees yet at Spin Sports. However, that does not mean that they will not in the future.